Our 10’000 employees make up a big family of diverse cultures who all share a common value: innovation. 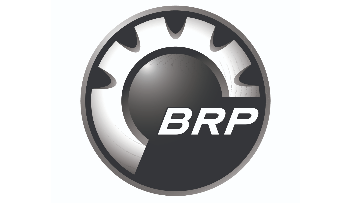 Our people are passionate and qualified; by joining BRP, you will evolve at the heart of an experienced team that will welcome you with open arms. Join the company which offers an outstanding environment that gives play to your drive for innovation and self-initiative every day. Under the supervision of Regional Commercial Manager, UK-Spain-Italy, the District Commercial Manager–Units & PAC delivers solid growth to BRP Unit & PAC business through successful wholesale and retail activities and by influencing sales best practices in ways to positively impact BRP’s Dealer Value Proposition and increase dealer engagement and loyalty. The brand scope is Can-Am ATV-SSV-RD & Sea-Doo product lines. Achieve Unit & PAC sales targets (wholesale turnover, units retailed, market share, accessories per retailed unit ...) in the assigned market area in ways that contribute to dealer engagement and loyalty and to meet revenue and profitability targets. Develop and execute the commercial business strategies related to Units & PAC –per product line - with the dealer network in the assigned market area. Activate dealer participation to Unit IO, PAC pre-season, promotional activities, dealer engagement programs and other activities in order to maximise sales results. Actively participate in the development of the dealer marketing & activity plans in order to stimulate retail sales for Units & PAC. Leverage existing tools such as lead generation & follow-up, open house days, demo and trial, delivery practices,… in order to develop retail sales and deliver a strong consumer experience. Leverage the use of Coop funds to develop a business partner approach to support execution. Allocate time and ensure presence at key regional events. Train dealers and their staff on Unit & PAC product features and benefits and implement learning's & practices from other non-tech training's to ensure they are well equipped for successful retail performance. Collaborate strongly with marketing in order to ensure leveraging product launches, promotional activities and programs, shows and events for maximised impact on Unit & PAC business growth. Monitor the competitive environment for the Unit & PAC business and identify opportunities (products, practices, …) for Unit & PAC growth globally and in the assigned market area. Develop a Territory Action Plan (TAP) for the Unit & PAC business in the assigned market area. In collaboration with Network Development, optimise the dealer network by filling open points, consolidating and/or eliminating sales points and by improving dealer quality and performance within the assigned market area. Participate to the development of UK Unit & PAC business plan development, based on the identified TAP priorities and key opportunities in collaboration with the Regional Commercial Manager and other local as well as functional team member s.
Proven track record of successfully delivering results in fast paced and high growth environment. Fluent in written & spoken English. Any other language is an asset. The position is based in UK from home office.